We’d love your help. 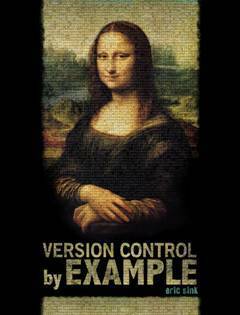 Let us know what’s wrong with this preview of Version Control By Example by Eric Sink. To ask other readers questions about Version Control By Example, please sign up. A very comprehensible description of the most used version management tools, and how to perform basic, and even slightly more advanced tasks. The book is well written, with just enough humour and understandable examples to keep the reader engaged. I keep it at the office as a quick reference guide for myself, and as an introduction to version management for new coworkers. It misses out on the really complex stuff, but that is not the goal of this book. I really enjoyed reading this book! It gives you a short introduction to version control systems. I think this book is a perfect introduction to Version Control Systems. Even though it does not dive into the advanced specifics of any one particular VCS, it manages to cover the most needed aspects of all the popular VCS in a well formed manner. In my opinion people who have zero VCS knowledge to people who have some intermediate level exposure to VCS, will benefit the most out of this book. I am also pretty sure that even the experts will not be in for a disappointment when they read this boo I think this book is a perfect introduction to Version Control Systems. Even though it does not dive into the advanced specifics of any one particular VCS, it manages to cover the most needed aspects of all the popular VCS in a well formed manner. In my opinion people who have zero VCS knowledge to people who have some intermediate level exposure to VCS, will benefit the most out of this book. I am also pretty sure that even the experts will not be in for a disappointment when they read this book, as they can learn how other major VCS work in comparison to their own choices. As for me, who always had an unsettling feeling in the chest while performing merges, this book was a great life-saver. Using examples based on Git, Mecurial and Veracity (never heard of it before the book (and the author was involved in its development)), it's a nice primer on version control, especially distributed, and a good book to hand to someone coming from a world where their hard drive is full of copies of copies of files and folders that started off based on dates and then those dates were not distinct enough and then they started adding letters, but ran out of them too, and so on. Straight forward and c Using examples based on Git, Mecurial and Veracity (never heard of it before the book (and the author was involved in its development)), it's a nice primer on version control, especially distributed, and a good book to hand to someone coming from a world where their hard drive is full of copies of copies of files and folders that started off based on dates and then those dates were not distinct enough and then they started adding letters, but ran out of them too, and so on. Straight forward and conversational, it's a nice introduction and overview of what's going on and how to do it with clear and unambiguous examples. The glossary is a charmer too, with a few entries that remind you of those end credit lines from Airplane! A good introduction to Version Control Systems. It starts with a history and overview of different generations of version control systems. Then it explains a scenario and over the next several chapters goes into how different VCS like SVN, Git, Mercurial and Veracity can be used in these scenarios. This is not a book from which you can learn how to use a VCS properly. It's an intro guide which will give you the context about how and why these systems were developed. 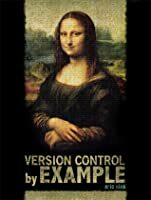 It also explains about 4 of t A good introduction to Version Control Systems. It starts with a history and overview of different generations of version control systems. Then it explains a scenario and over the next several chapters goes into how different VCS like SVN, Git, Mercurial and Veracity can be used in these scenarios. This is not a book from which you can learn how to use a VCS properly. It's an intro guide which will give you the context about how and why these systems were developed. It also explains about 4 of the available options that can help you chose one of them. It's a great book (probably the best one) for someone who is just learning how to use version control systems. It's also a great book for experienced professionals who use VCS daily, but at the same time don't feel that they have a good foundation and just use those commands without good understanding what they are exactly doing. A good intro and general overview of the various, more popular version control systems. An easy read with good information mixed with a bit of humor to keep it light. Filled with examples and scenarios. A good place to start if you're new to VCSs or if you're contemplating the switch to a distributed VCS. Really good book for somebody new to version control systems. Presents 4 different such systems with a detailed example (since the example case taken is same, you can happily skip many pages of reading). Author could have added more detail about how Veracity can version control databases, instead of diving deep into its API etc. details. A nice short read for beginners. The author gave good examples of using each type of version control system (SVN, Mercurial, Git, Veracity) with clear explanations. As a fairly experienced user of SVN and Git, however, I didn't get much new information. So far, so educational. I can't believe the number of times this book has come up in conversation in the last few weeks. I am thinking in a version controlly kinda way now, I just need to sit down and get my hands dirty. It does a good job explaining the advantages and disadvantages of DVCS compared to CVCS, and intorducing the two popular DVCS. One part of the book is devoted to Veracity, a DVCS made by Eric Sink's company. That part is somewhat biased, but still readable. Quite a nice read if you're looking at migration to some DVCS. Even though we're not using DVCS at the moment it still looks like it might be a very close future when we migrate to it. Little bias because author works in company, developing one of the tools described but good to start reading about Version Control. Well written. A comprehensive introduction to using distributed and non-distributed version control systems. Good one for beginners and those who want to fill holes in their knowledge. Has best practices list that everyone should be following if they don't do it already. It looks useful to get my act together re version control in my software and Web projects. Might be useful for DVCS newcomers but I wouldn't recommend it for experienced readers.